Polygon captured some co-op gameplay footage while they were at E3. Each of the three players has a different outfit on that seem to confer different abilities. The red player is some kind of samurai that can shoot arrows, while the blue and green players can throw bombs of varying size. It does look to be a fairly cooperative experience while also being rife with opportunities to grief your fellow Links. One thing that stood out to me in the video is that it appears there's no revival system and that health is shared amongst all players. So if one Link should fall, all will fall. 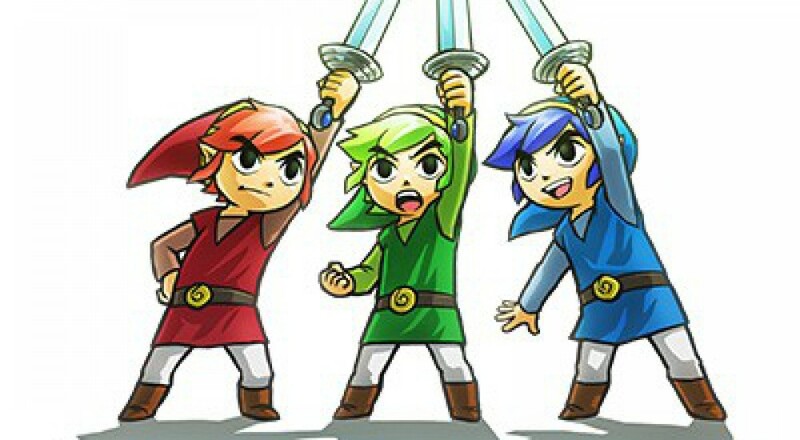 The Legend of Zelda: Tri Force Heroes arrives some time this fall. Page created in 0.7588 seconds.